Living in Brisbane, Australia was an amazing experience. We were surrounded by a tropical paradise! The flowering trees were one of my favorite sights and they inspired my Pink Paradise Christmas tree. 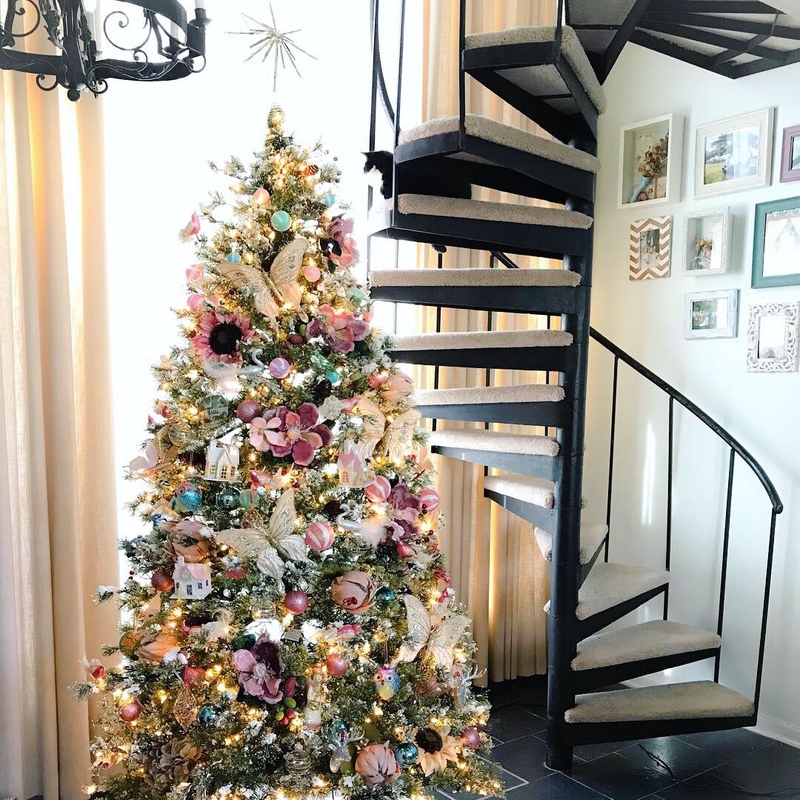 Pink magnolias, Protea flowers, butterflies and birds adorn my Pink Paradise Christmas tree. When I look at this tree it reminds me of the softer side of Australia. When I found pink magnolias at a thrift store I was reminiscent of my visit to Mount Tamborine in Queensland. I had never seen pink magnolias and quite honestly didn’t know they existed! They were the perfect addition on my Christmas tree and happily remind me of Australia. Pink Magnolias on Mount Tamborine, Australia. I added a bit of paradise to my Christmas tree this year! More inspiring floral photos I took while living in Australia. Orchid Tree in Newstead Park, Brisbane. Another Tree I didn’t know existed! Jacaranda Tree In Nundah Village. Poinsettia Shrub in a Brisbane suburb. Did you know they got this big??? Pink Trumpet Tree on Brisbane’s, South Bank. Bougainvillea vines on a modern trellis at Brisbane’s South Bank. Bottle Brush Tree with colorful parrot in the front yard of our Brisbane residence. Wild Morning Glories on Rainbow Beach.